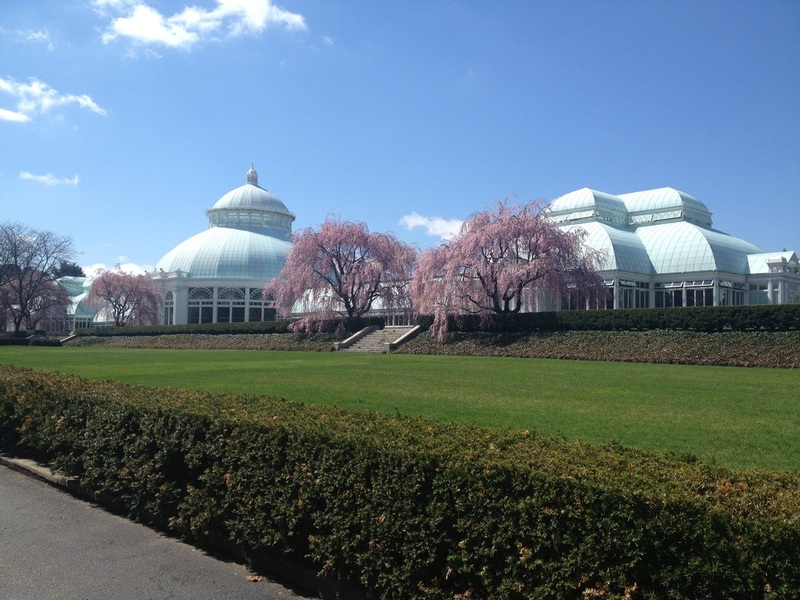 Have you ever wondered what the scenery looks like at The New York Botanical Garden, Pelham Bay Park, Turtle Cove, 23rd street, City Island, Turtle Cove, Central Park or any of the other birding areas in NYC? These are my birding hot spots. 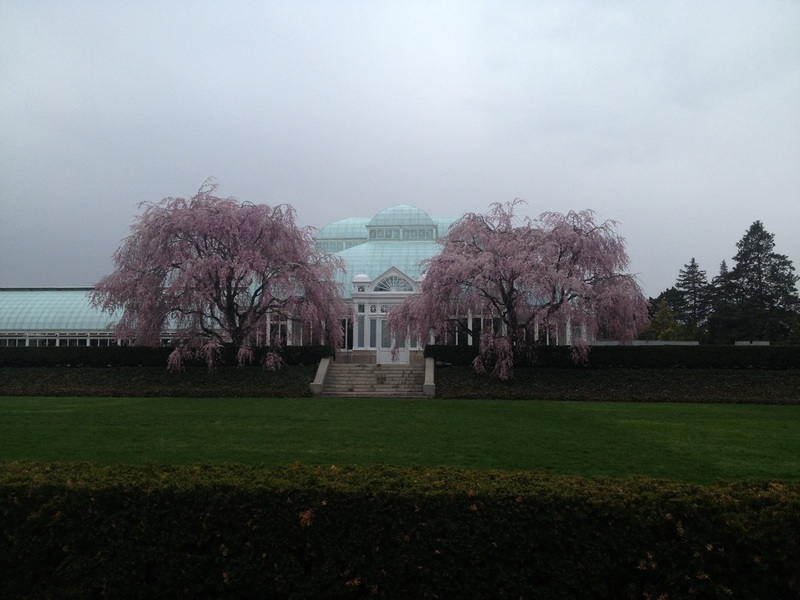 The New York Botanical Garden (NYBG) is a birding paradise all year round. 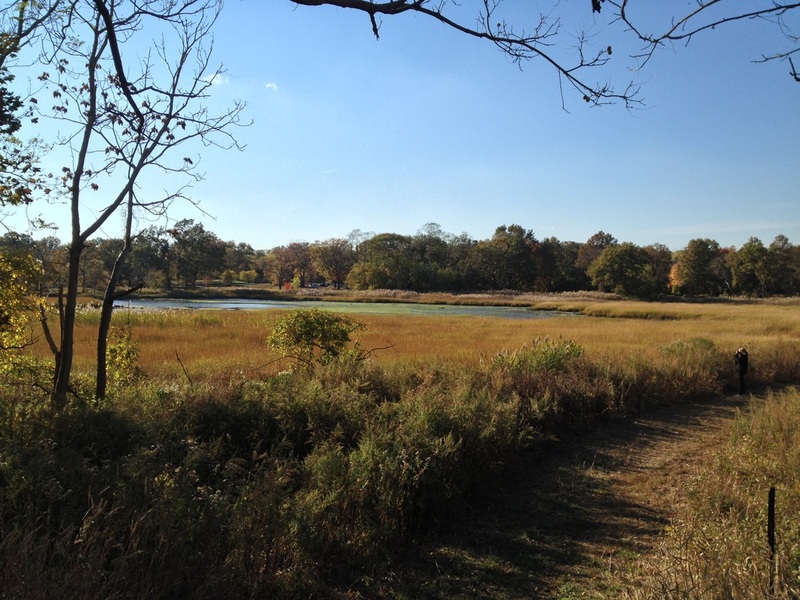 The 250 acre living museum is located in the northwest Bronx and is open six days a week. It is closed on Monday. 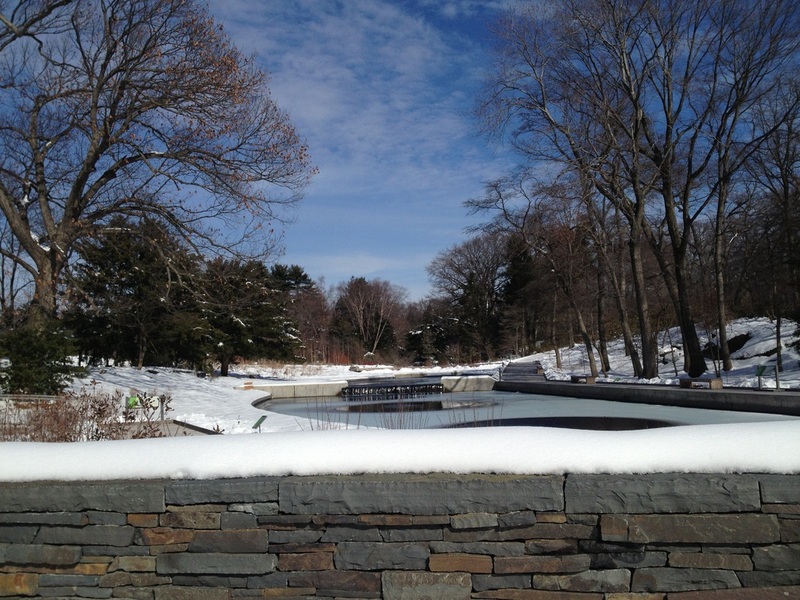 The garden has water falls, ponds, lakes and the Bronx River. 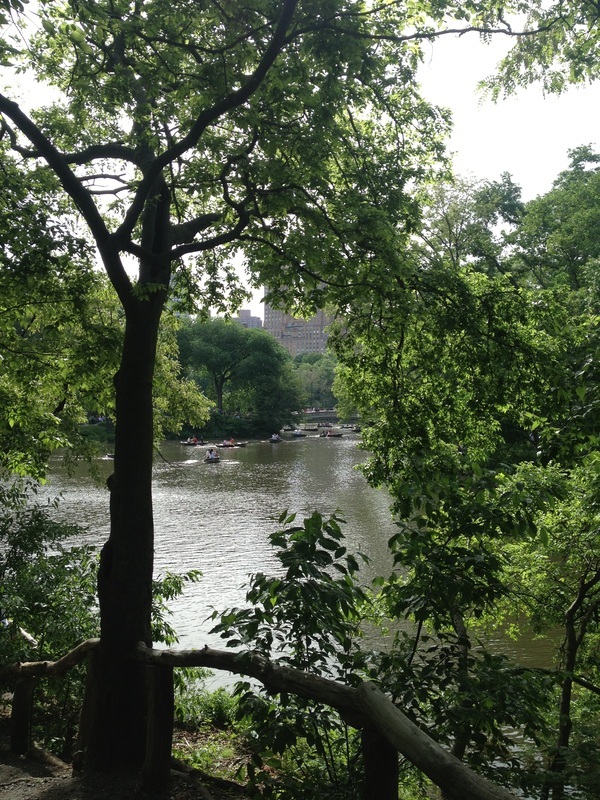 There are meadows, fields, rocky areas, and a beautiful forest. 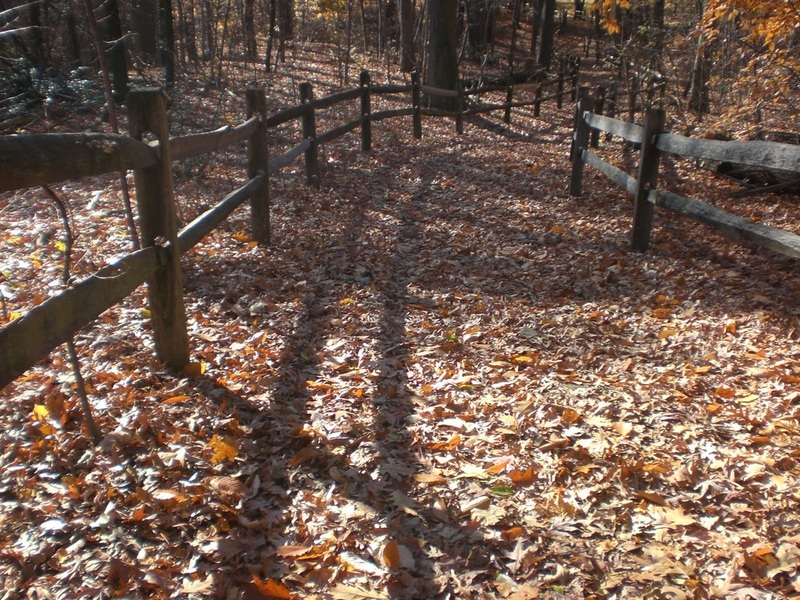 It is located on the Mid-Atlantic Flyway a path for migrating birds. Warblers, sparrows, hawks and even shorebirds find their way to the garden and stop over. 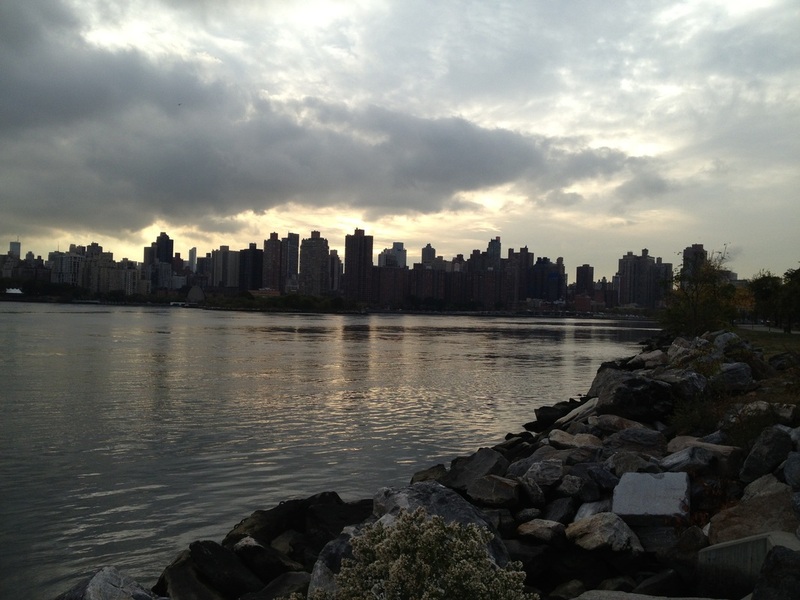 With over 200 species of birds visiting yearly it is one of the best birding hot spots in NYC. 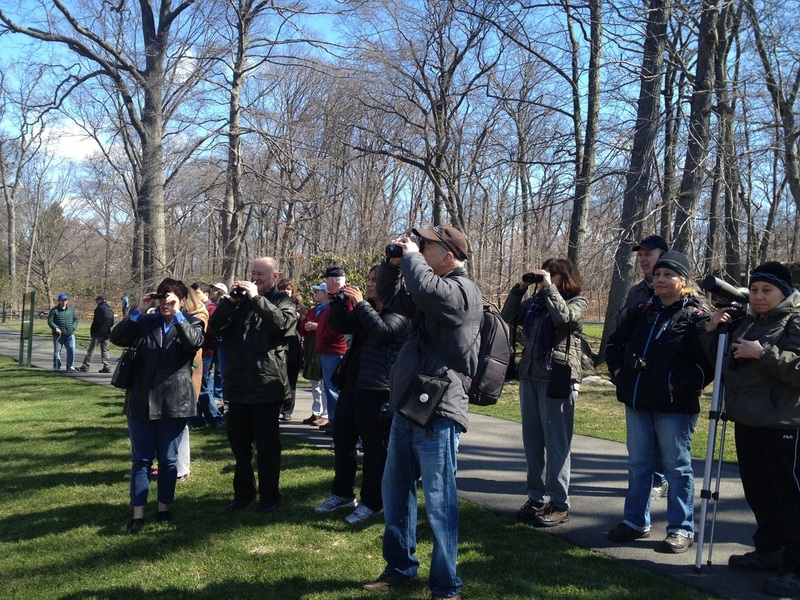 I lead Bird Tours every Saturday at 11am. 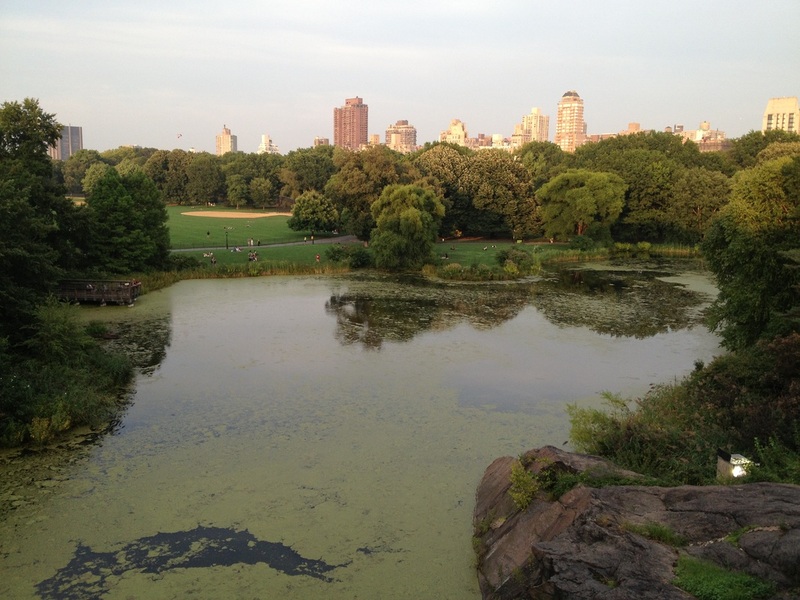 Meet at the Reflecting Pond. 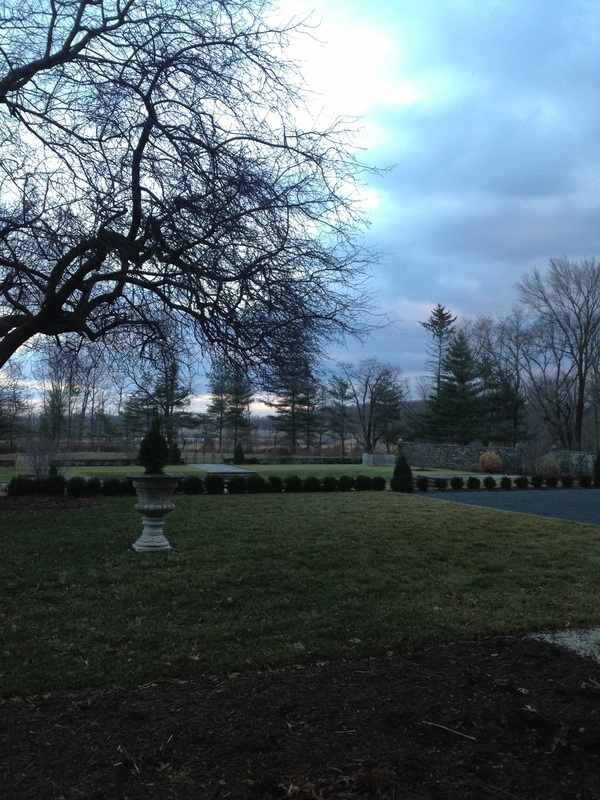 The garden is beautiful in spring! 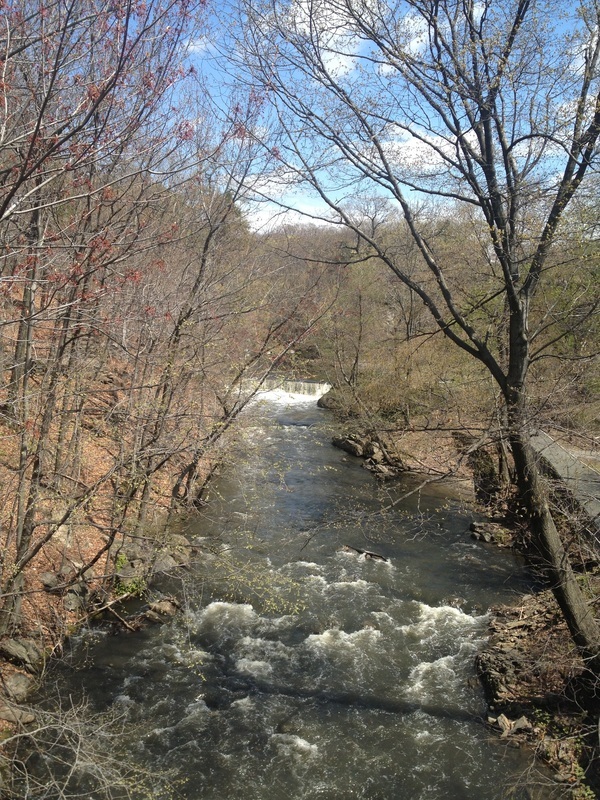 The Bronx River flows past the Stone Mill (Snuff Mill) Look here for ducks and nesting orioles and warbling vireos. The forest path. Along this side of the path I have found worm eating warblers, blue gray gnatcatchers, rose breasted grosbeaks, and white crowned sparrows. 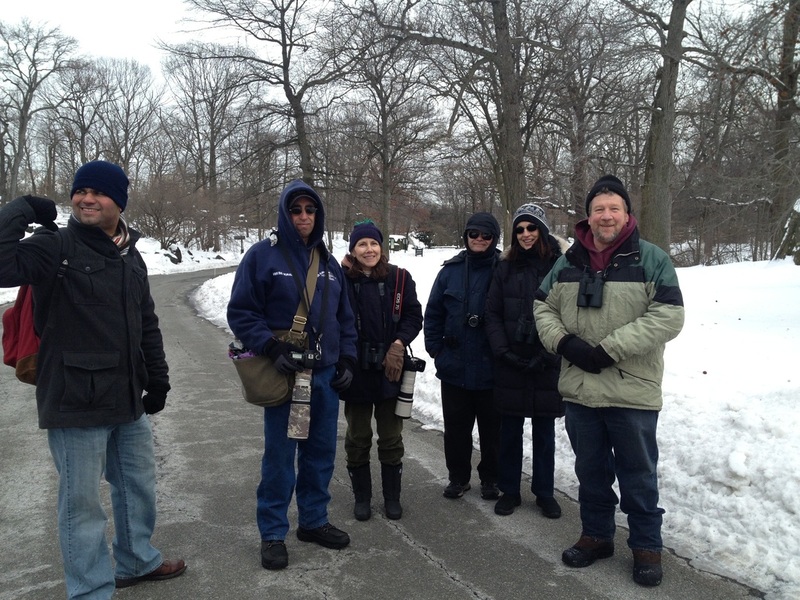 Even if it is freezing and snowy, the birders show up for the Saturday morning bird walk. 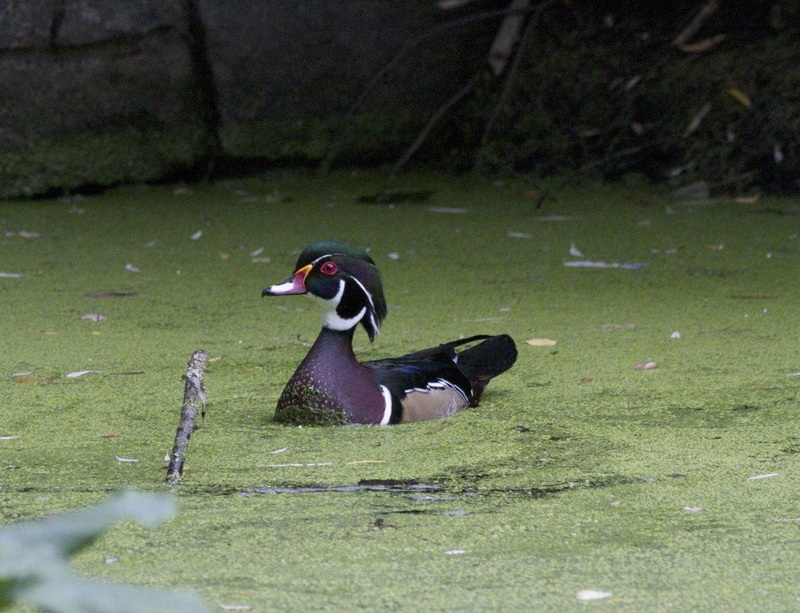 Spring brings courting wood ducks to Twin Lakes and warblers to the shoreline. 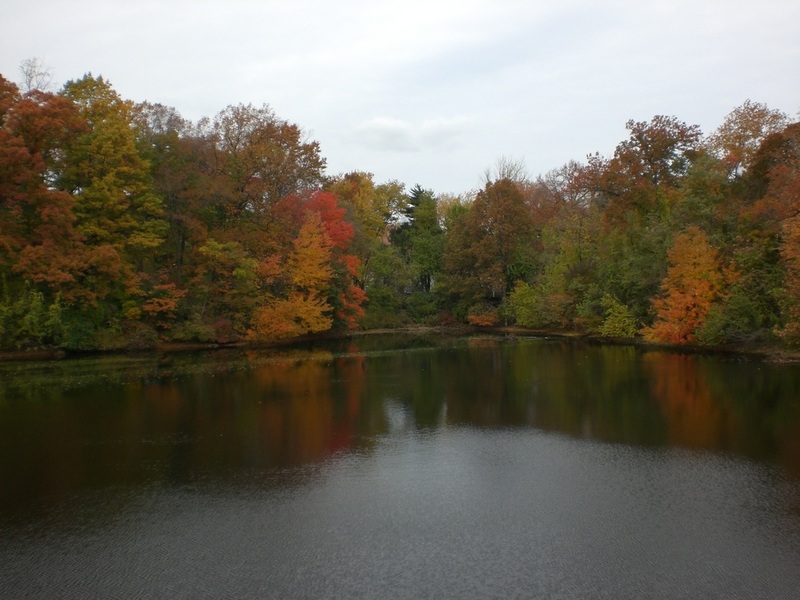 If you follow the path around the Twin Lakes you will find a small pond in the back. If you walk to the opposite side you will see cement benches that were used in the 1940's when the lake froze over and people went ice-skating. 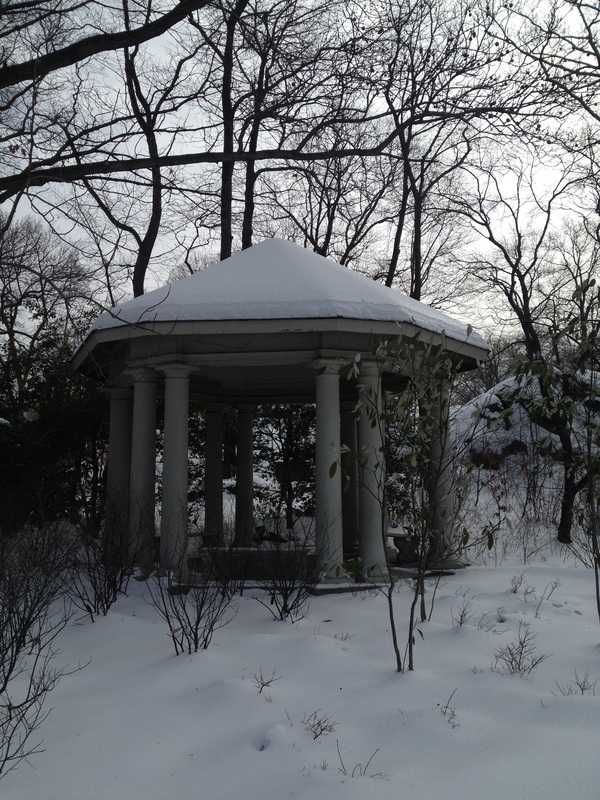 Gazebo by the Swale. 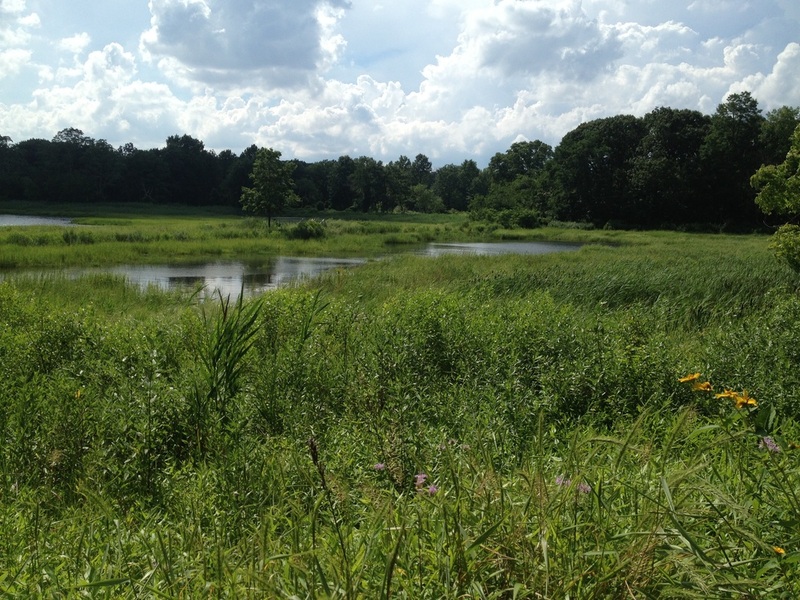 In this newly planted area look for sparrows, vireos, red winged black birds, Eastern Kingbirds, warblers and more. Twin Lakes - the upper canopy where you can see black throated blues, rose breasted grosbeaks, pine warblers, scarlet tanagers, kinglets, sparrows, cedar waxwings and more. The Rock Garden - Look here for red tailed hawks bathing in the waterfall, goldfinch in the birch and Italian Wall Lizards on the rocks. 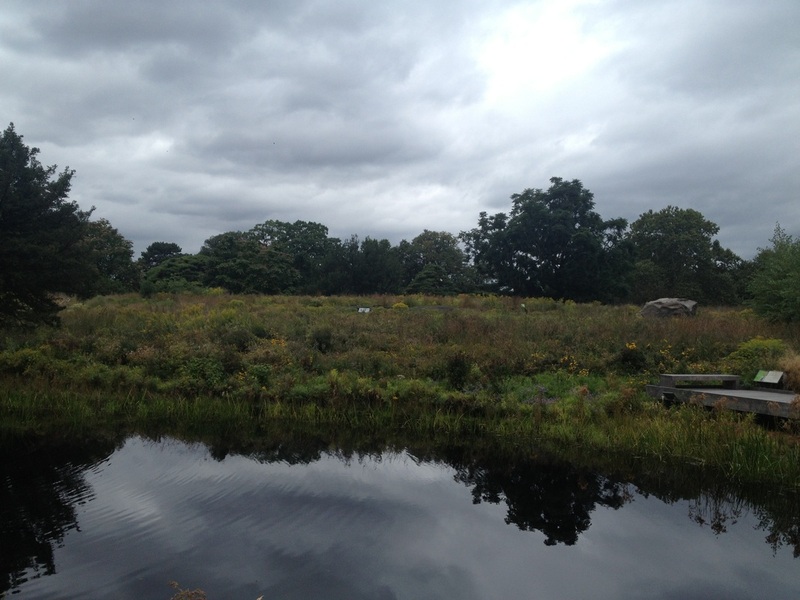 A pond by the Children's Garden and Swale. 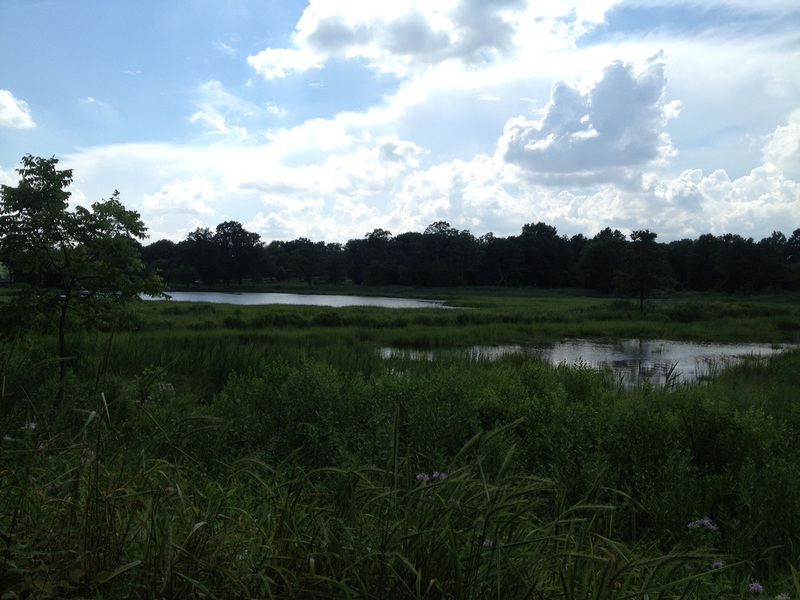 Green herons, wood ducks, rusty blackbirds, red winged blackbirds, glossy ibis, Wilson's Snipe, Spotted and Solitary Sandpipers, Eastern Kingbird, Oriole, Vireo, warblers and more have been observed from this very spot. 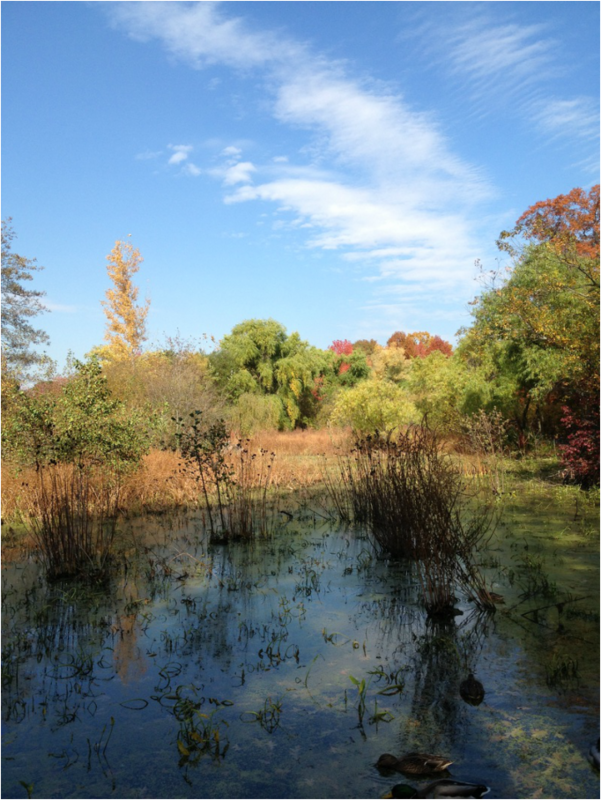 The Native Plant Garden The perfect place to see warblers in the spring, and sparrows in the fall. 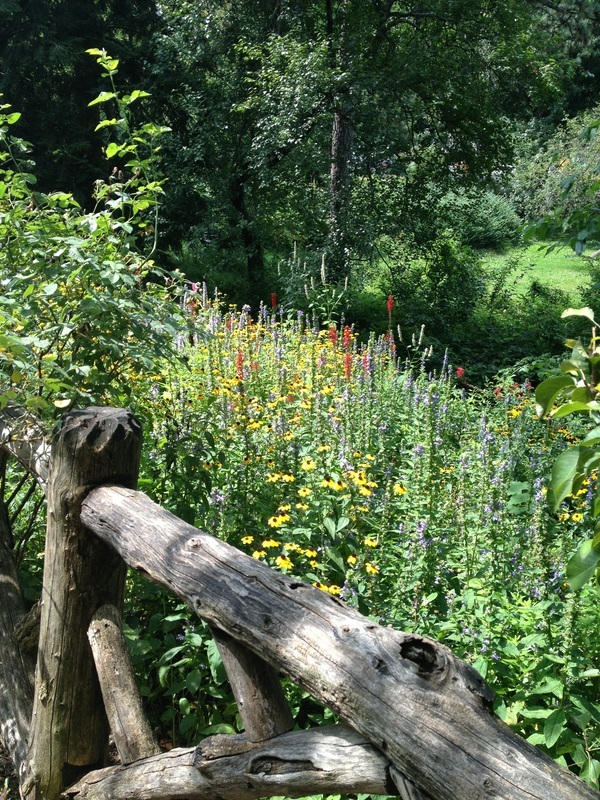 The magical meadow of the Native Plant Garden. Look here for sparrows, buntings, pine siskins, warblers, and more. The Waterfall during early spring. 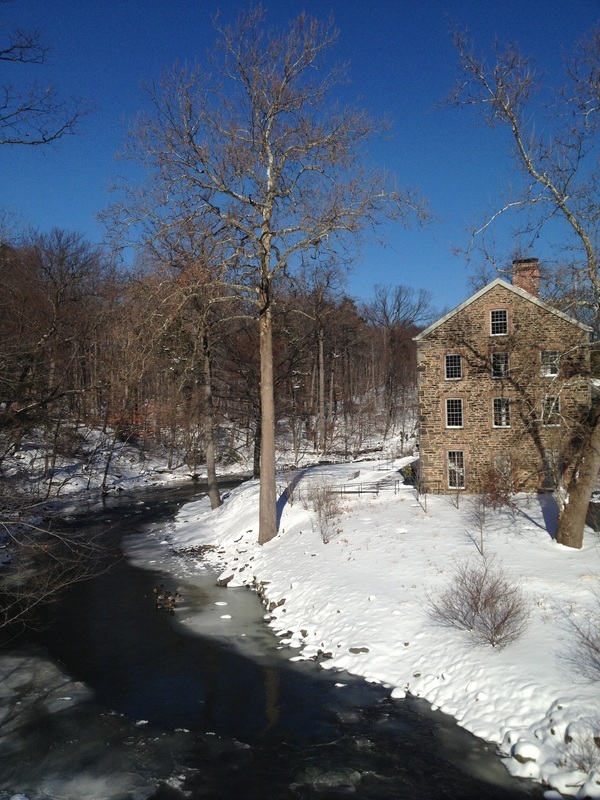 We don't see many birds from Hester Bridge, but the view is still breathtaking. 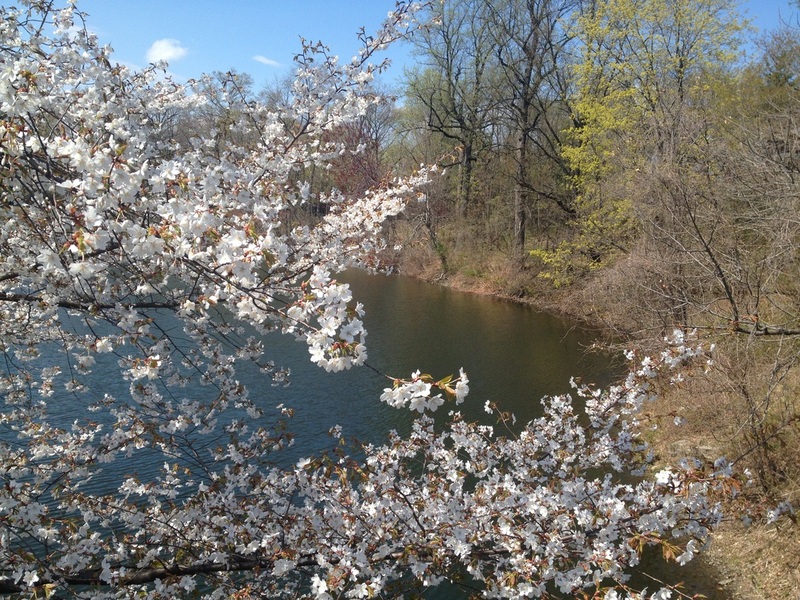 Hard to believe you are in the Bronx! 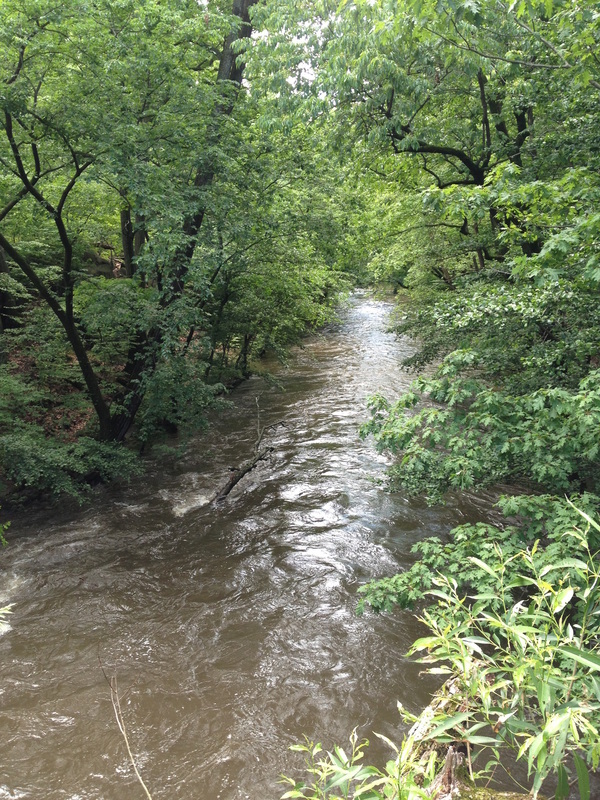 The Bronx River, raging, after a tropical storm. 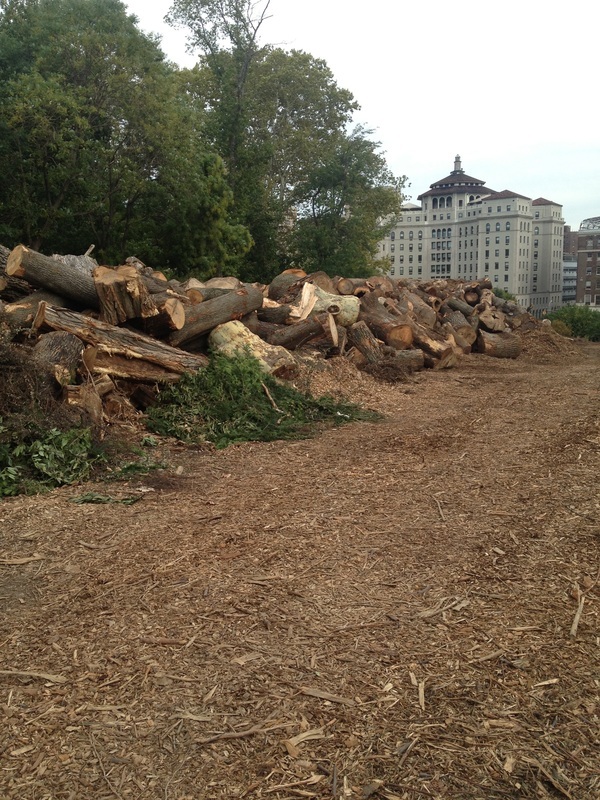 The banks overflowed and tore down small trees and shrubs. Most of the herons or egrets were displaced, but the ducks enjoyed the rapidly moving water. 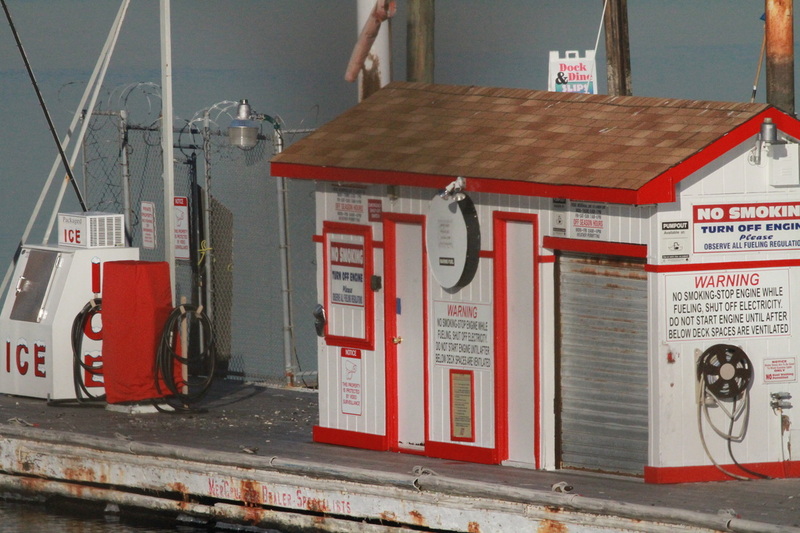 City Island is a one mile island located right off the coast of the Bronx and Westchester. It is a quaint fishing village with quirky shops and resident artists and musicians. Each block on the island has its own private beach and from these beaches you can spot some pretty good birds. 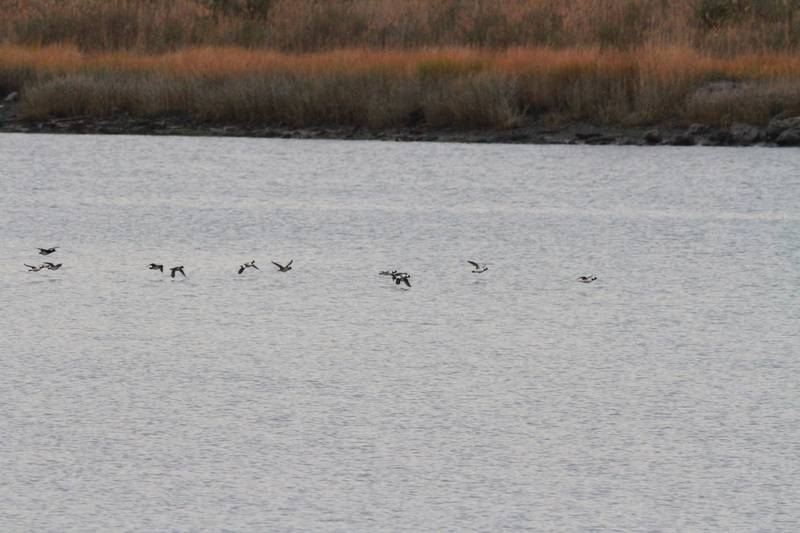 On the north side of the island facing Hart Island you can see many different water fowl and shorebirds. 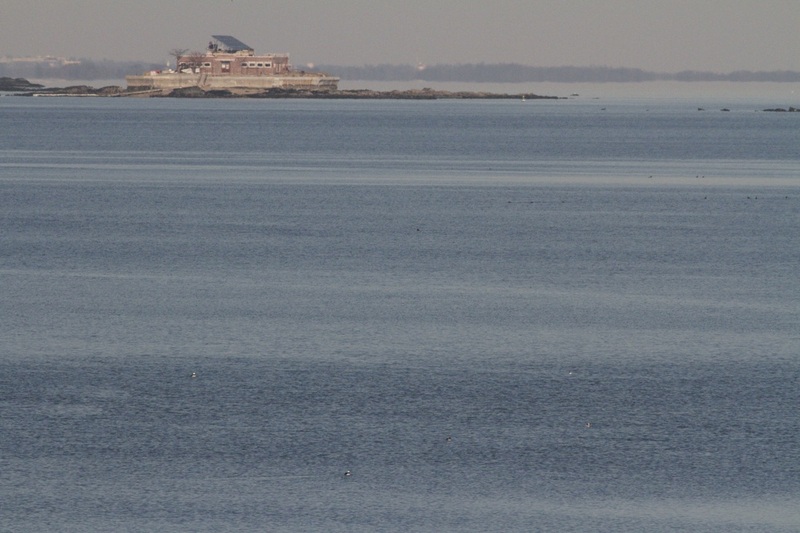 On the south side of the island, gulls dominate and occasionally an uncommon bird or hawk will fly off the landfill at Pelham Parkway towards the island. 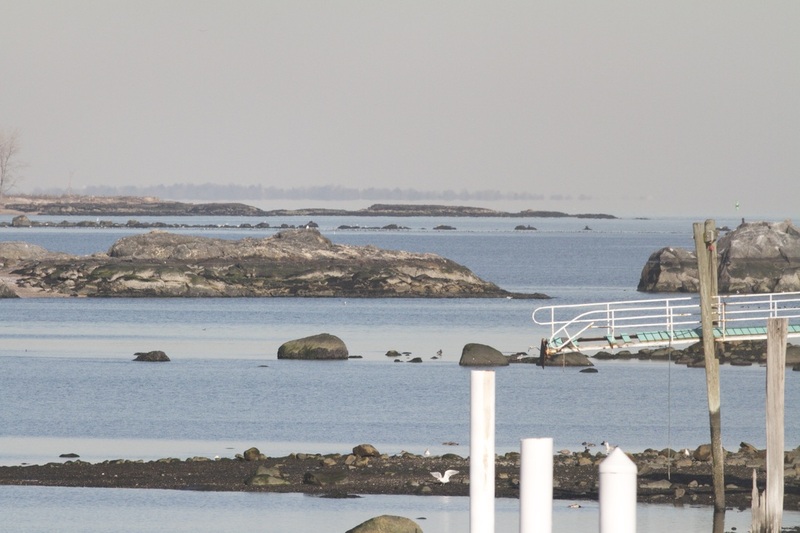 Pelham Bay Park is one of the largest parks in New York City and has beautiful glacial rock formations on its northern tip. 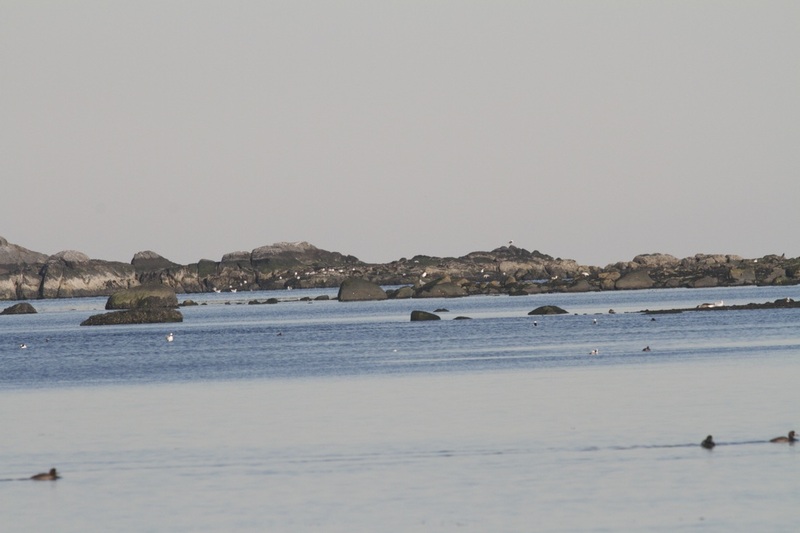 Harbor Seals dot the surf in the winter and great blue herons promenade during the summer. It is still a wild place with owls coming to roost during the winter months. 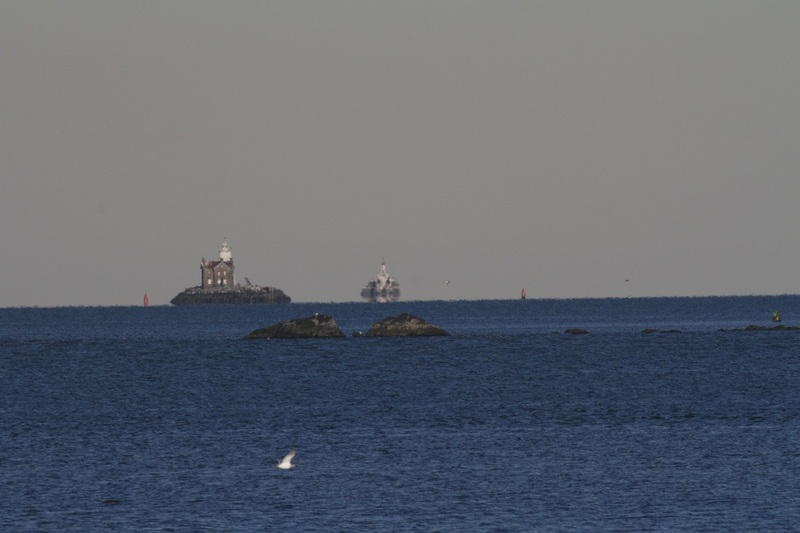 There are many trails leading to Hunter Island, Twin Islands and other areas. It is always advisable to bird with a friend when on these trails. 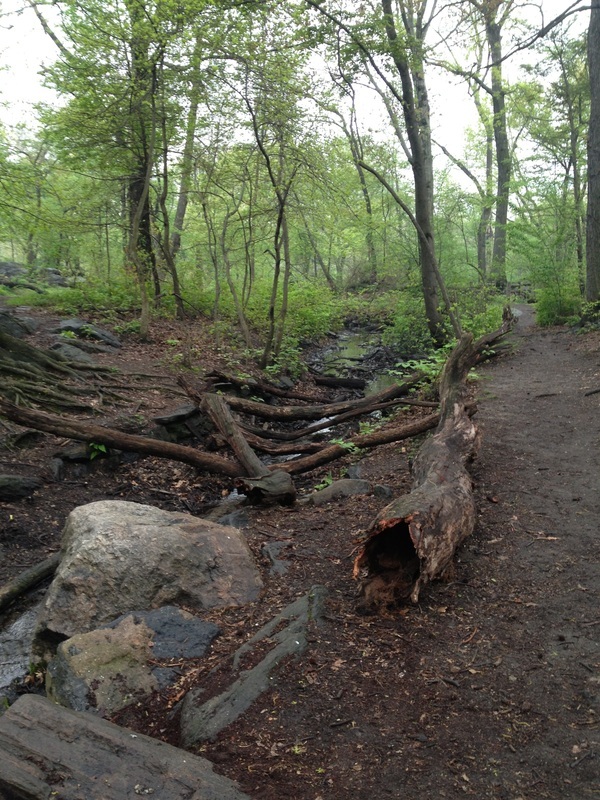 Many of the off path areas can lead to quick sand or sinking mud, gnarly vine patches and other natural hazards. In the distance Twin Islands. To access the furthest of the islands, one must wait for low tide. 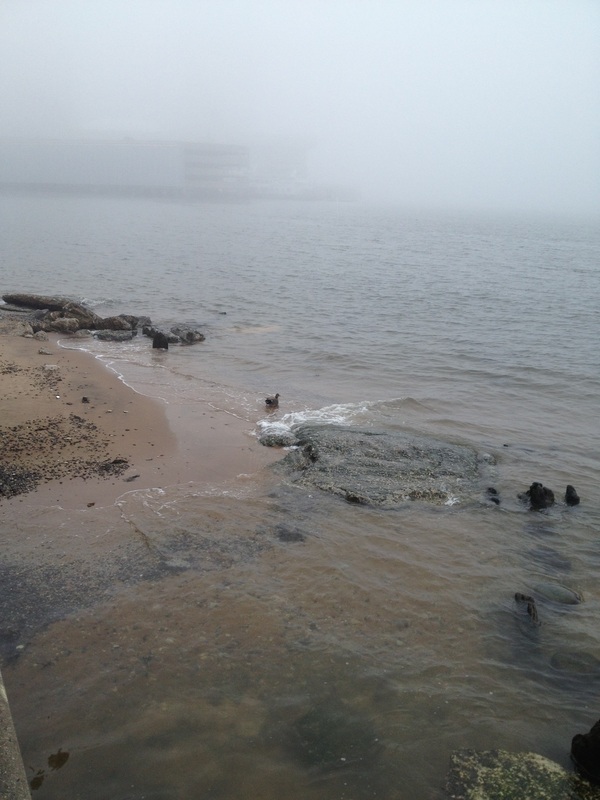 Be careful to return before the tide rises or you will spend some time out there! I saw my first snowy owl on the island and had to wade back through waist high water during January! 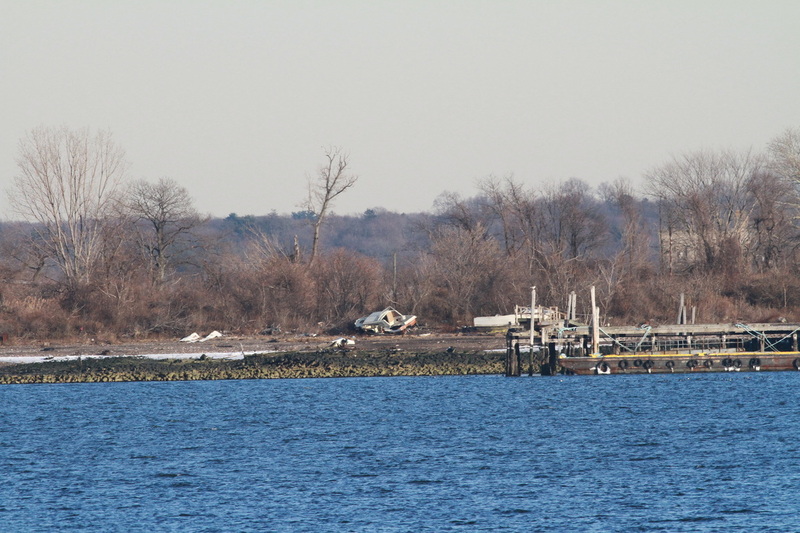 Hart Island. 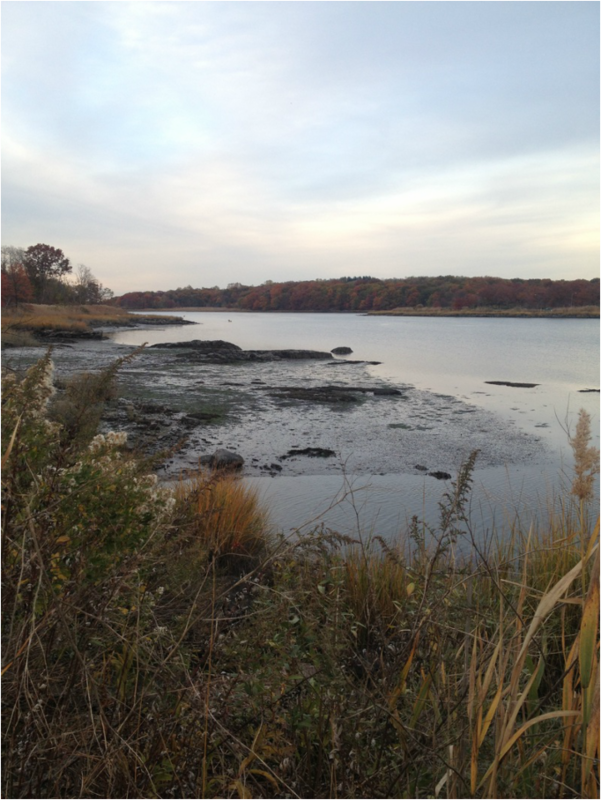 Hart Island is home to Potter's Field. The real pirates of these waters hunt for human bones and skulls that become dislodged from water laden caskets. It is a desolate place and former home to a prison and mental institution. 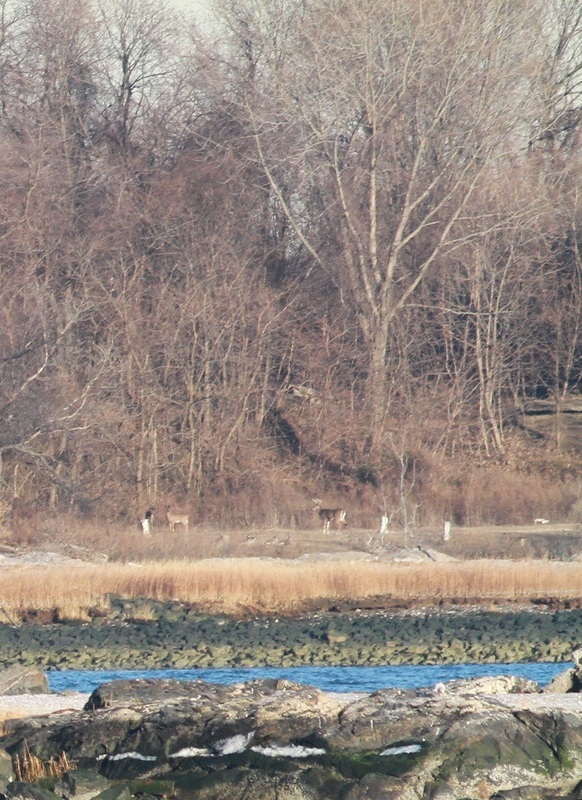 Hart Island - How did this herd of deer get onto Hart Island? Bartow Pell Mansion grove of pines. 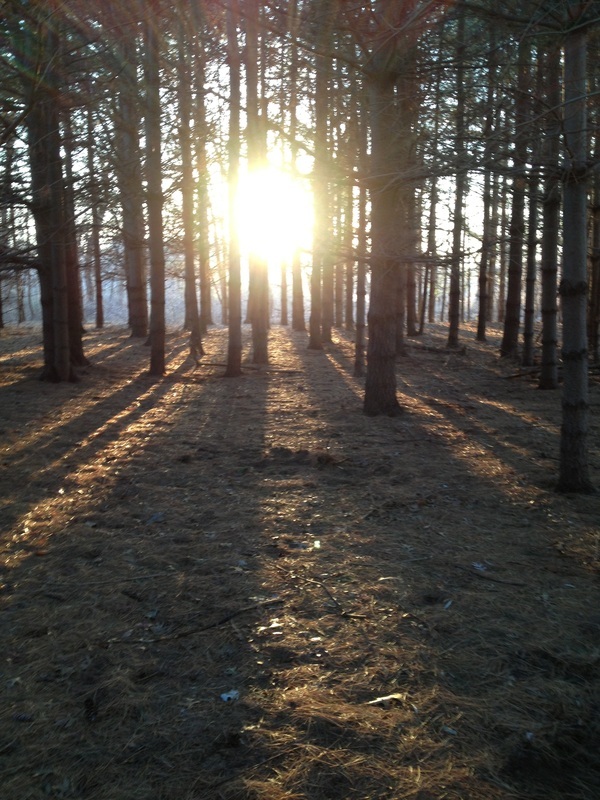 I helped plant these pines, in the 1990's with the hopes of one day finding roosting owls. I have not been disappointed! Long Eared Owls are regulars and have also found Saw whet and Barn Owls. 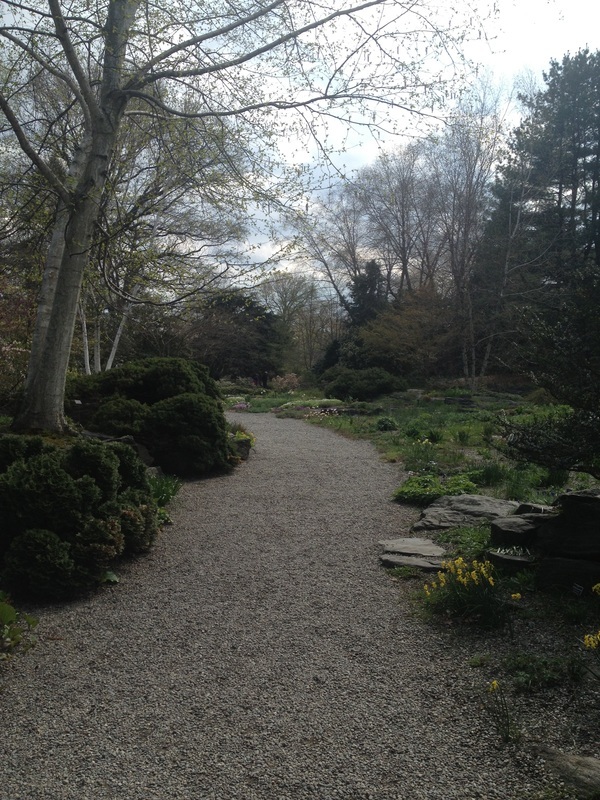 The formal garden at Bartow Pell Mansion was recently landscaped. 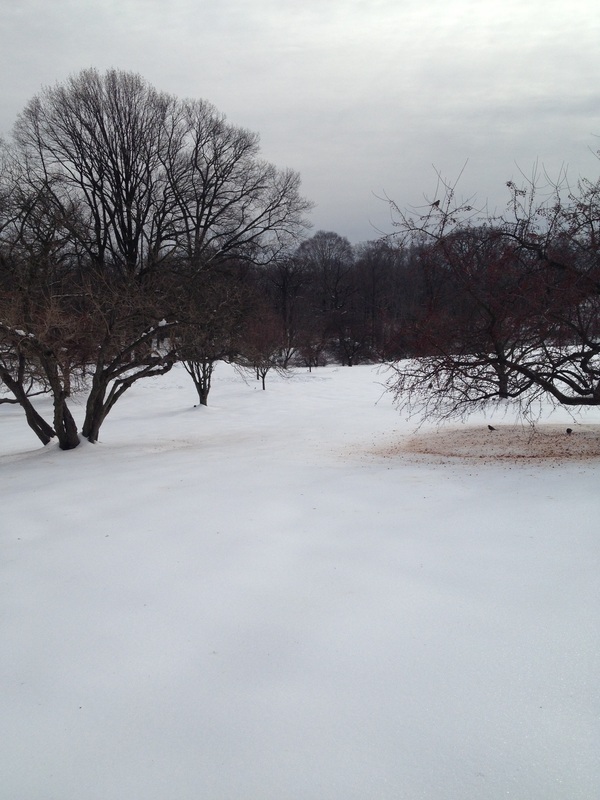 Bartow Pell Mansion is located between City Island and Pelham Manor on Shore Road. 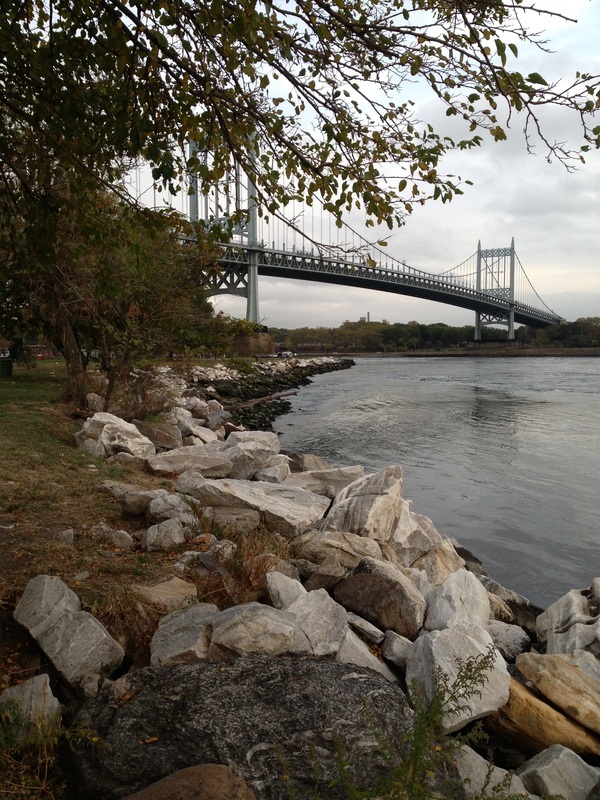 It is in Pelham Bay Park and across from the Split Rock Golf Range. 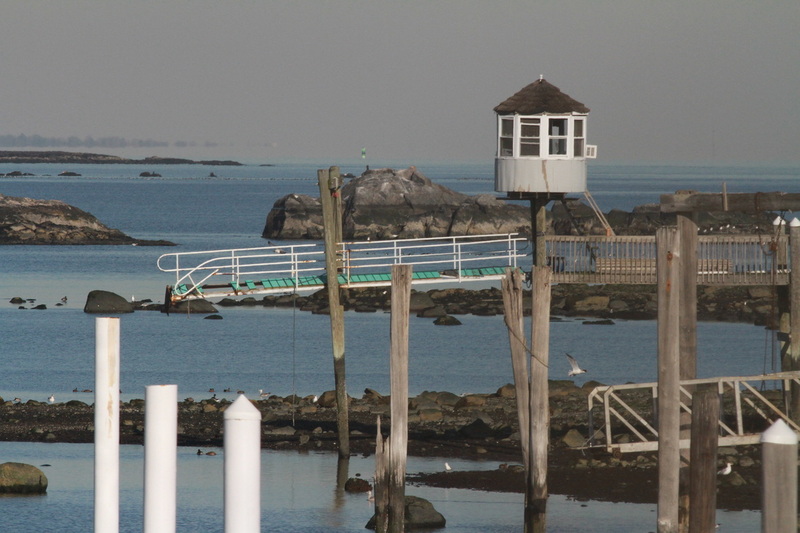 Nestled between the woods and rocky shoreline of the lagoon at Orchard Beach, the Mansion attracts an array of birds throughout all four seasons. 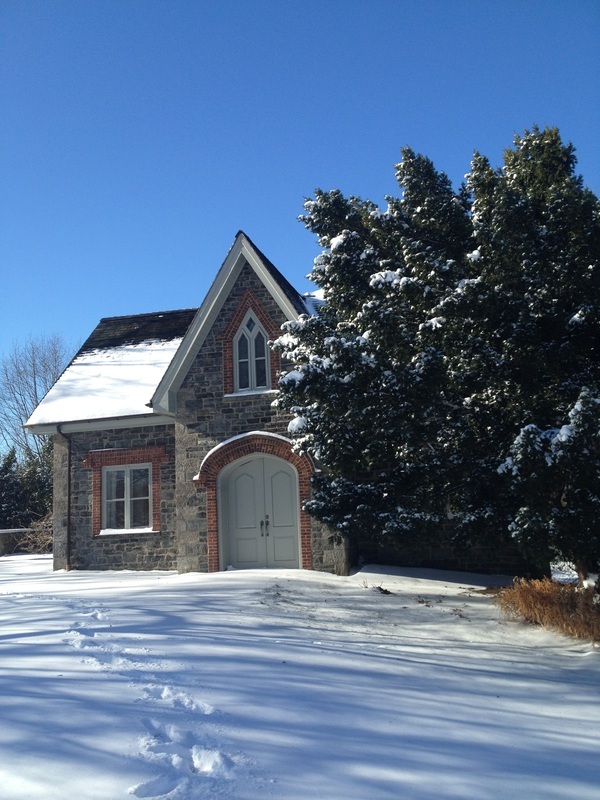 In winter, it is a haven for owls. 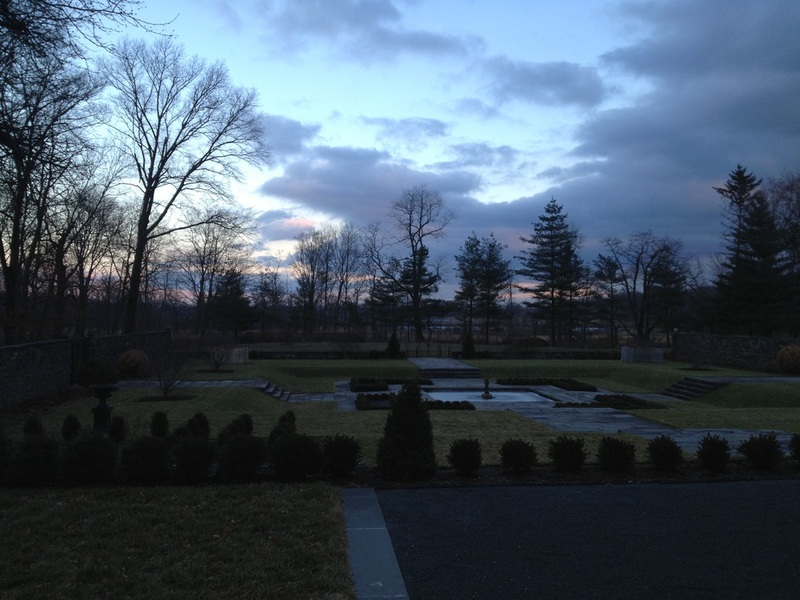 Barred, saw-whet, long eared, and great horned owls frequently visit the Mansion. 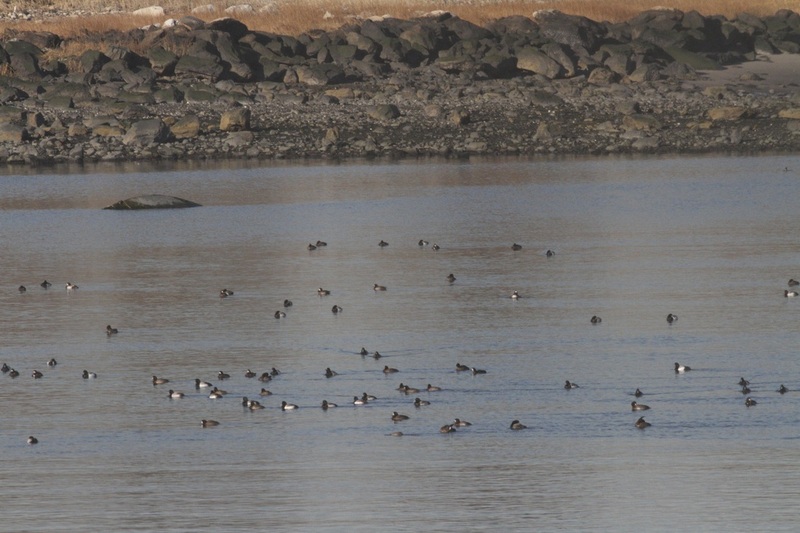 The open water attracts ducks, such as bufflehead, widgeons, black, scaup, redhead, goldeneye and more. 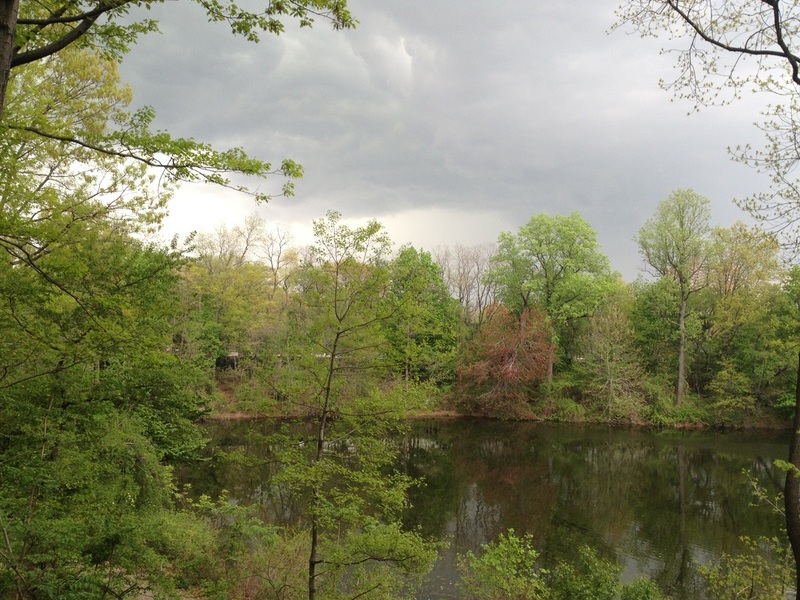 During the spring migration, the area is filled with the songs of warblers in the woods and in the meadow. Summer brings nesting and the raising of young. 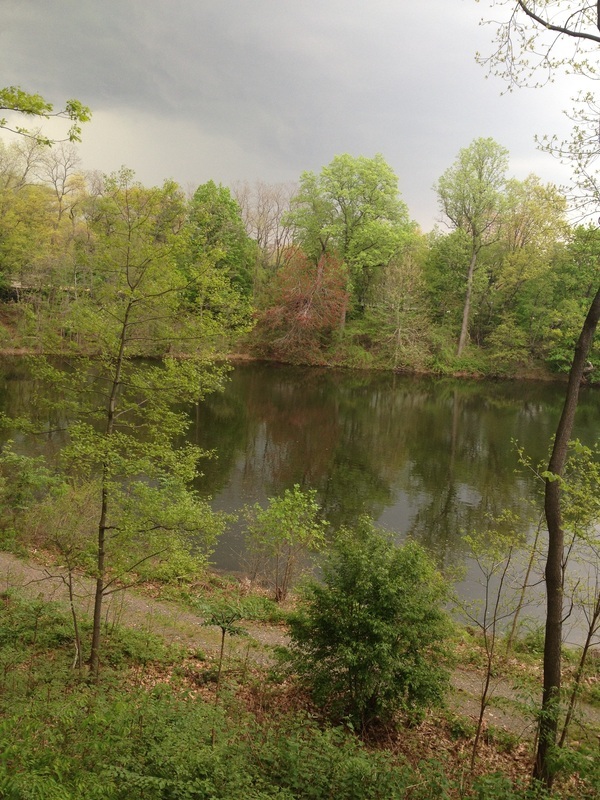 Orioles, blue gray gnatcatchers, brown thrashers, flycatchers and some warblers nest in the area. 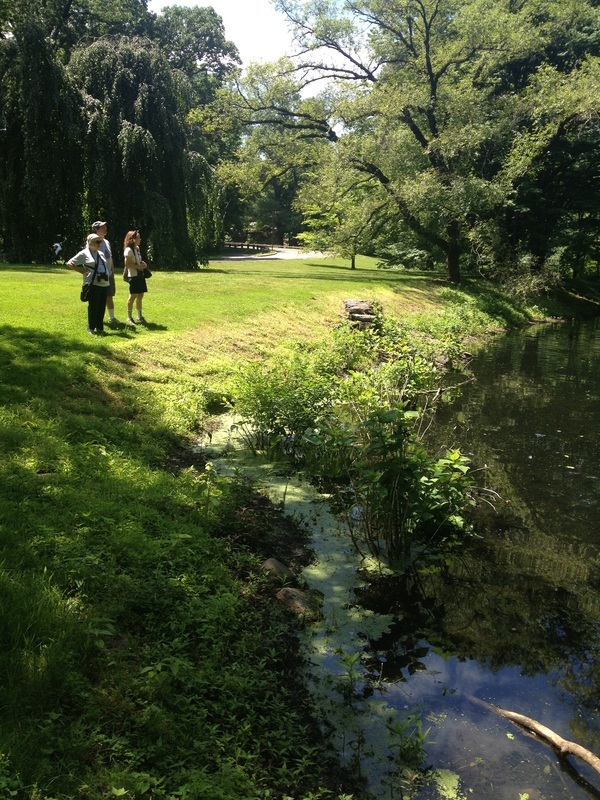 Shorebirds are also attracted to the brackish water pond in back of the Mansion and the lagoon. Great blue herons, egrets, little blue herons, gulls, terns, and ibis all walk the rocky shores picking at the mussels and crabs. In the fall we see osprey, eagles, falcons and returning warblers accompanying flocks of sparrows; white crowned, vesper, clay, savannah and more. 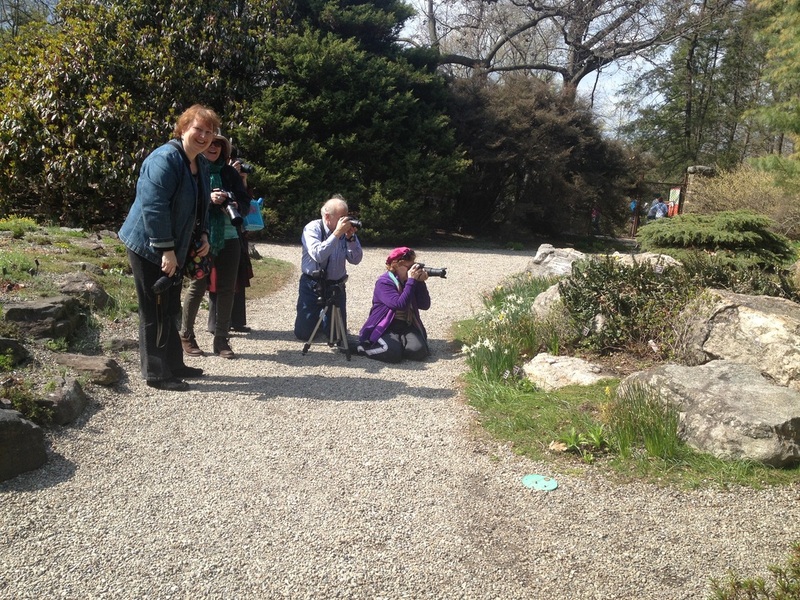 Bartow Pell is truly a birding paradise all year round. 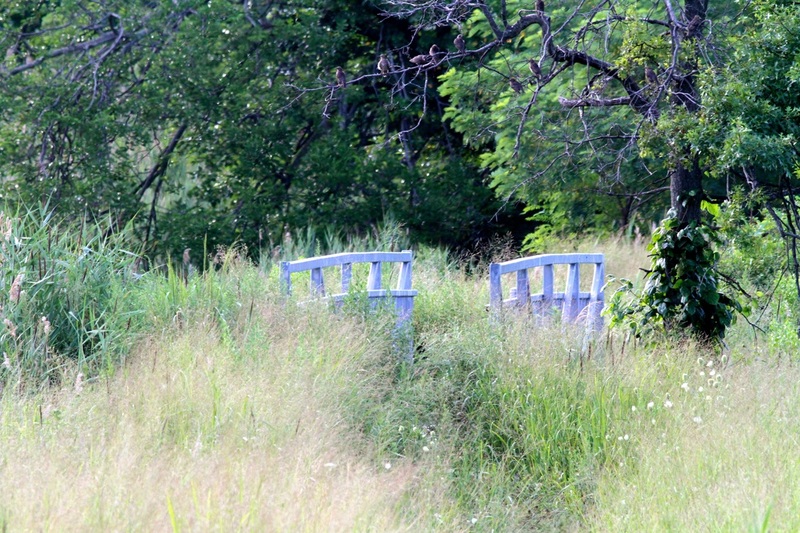 The trail along the lagoon behind the Mansion. In winter look for ducks and mergansers in the coves. In summer watch for herons, egrets and nesting osprey. 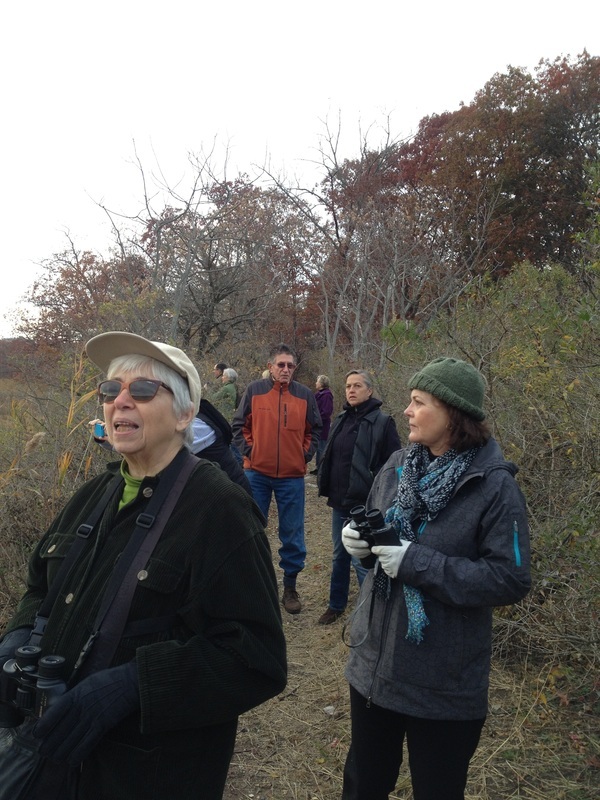 The fall brings warblers, hawks and shorebirds. Birding Turtle Cove (that's me over to the right). 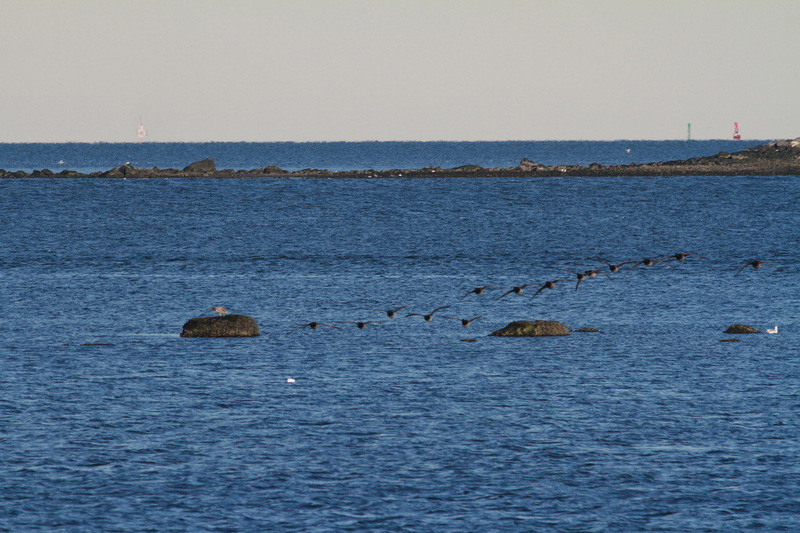 Some of the best birds I have spotted were observed from the path at Turtle Cove. Sparrows, buntings, kingbirds, orioles, kingfishers, osprey, falcons, ravens, flickers, wrens, clapper rails and sandpipers all love the marshy areas of Turtle Cove. Hidden in the reeds are a vast array of birds - all year long. It was along the path we found the red headed woodpecker - a truly amazing bird! If you wear insect repellent and don't mind blazing heat or freezing cold then Turtle Cove will reward you every time you visit! 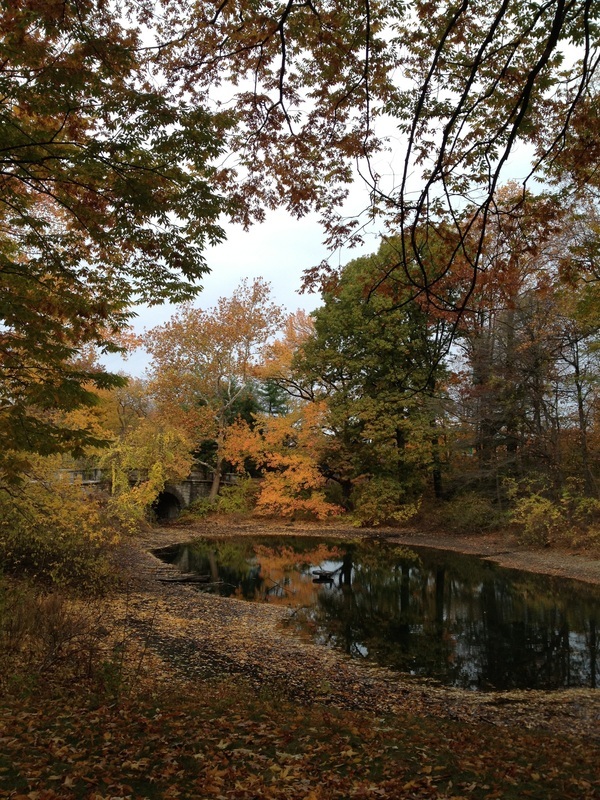 Early fall on the Cove. 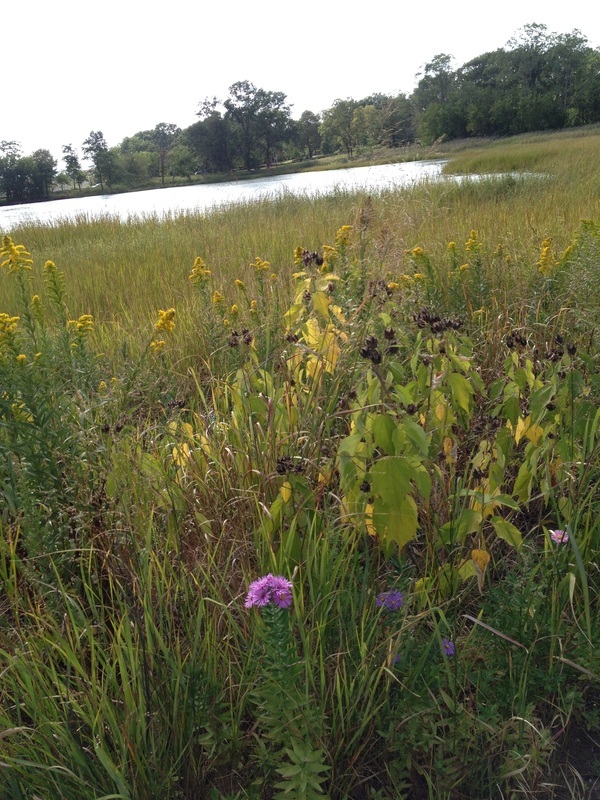 Look for warblers, sparrows, bobolinks and yellow headed blackbird. 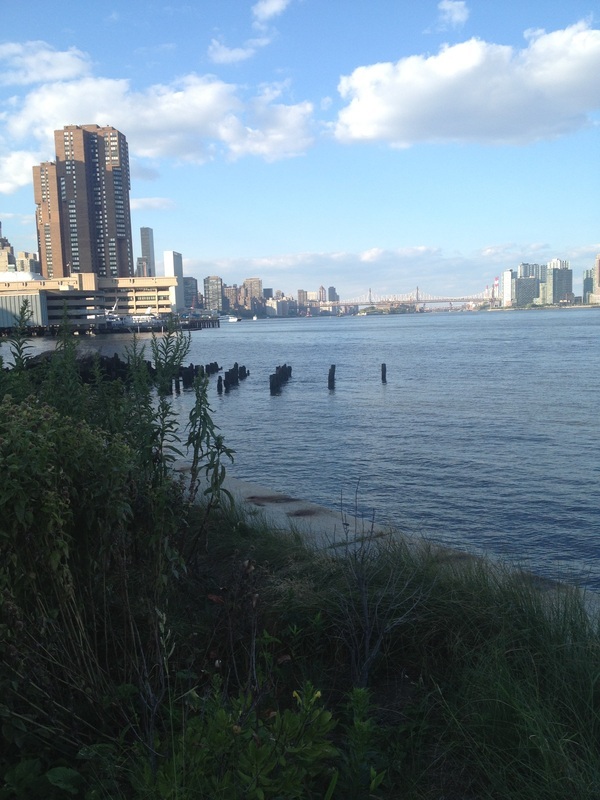 At low tide a small beach is revealed along the boardwalk on the East River. Gadwall, black and mallard ducks frequent this area year round. During the winter you can see Brant, red breasted mergansers, ruddy ducks and cormorants. 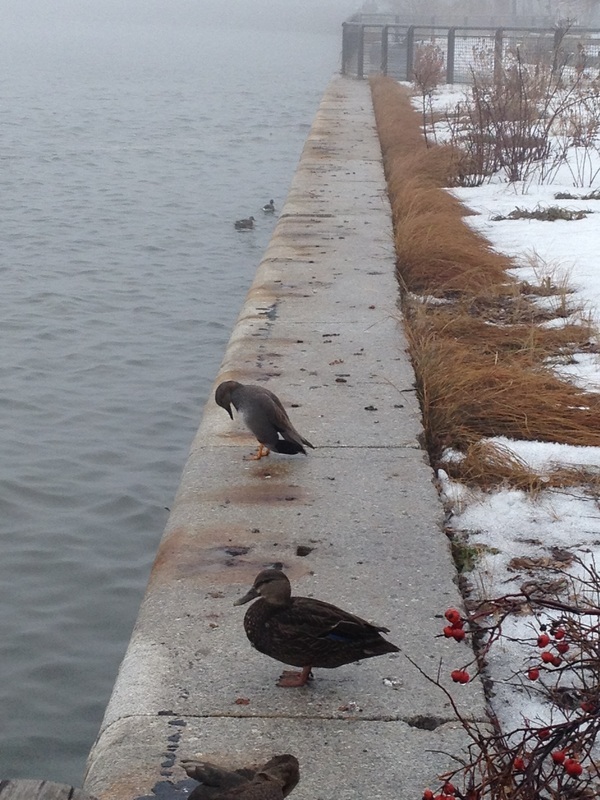 Black duck and gadwall on the seawall. 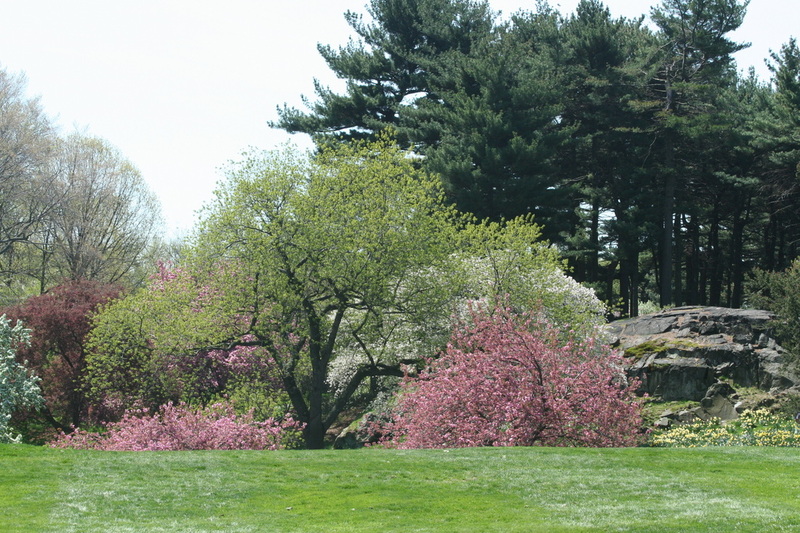 A meadow near Shakespeare Garden where ruby throated hummingbirds can be found. 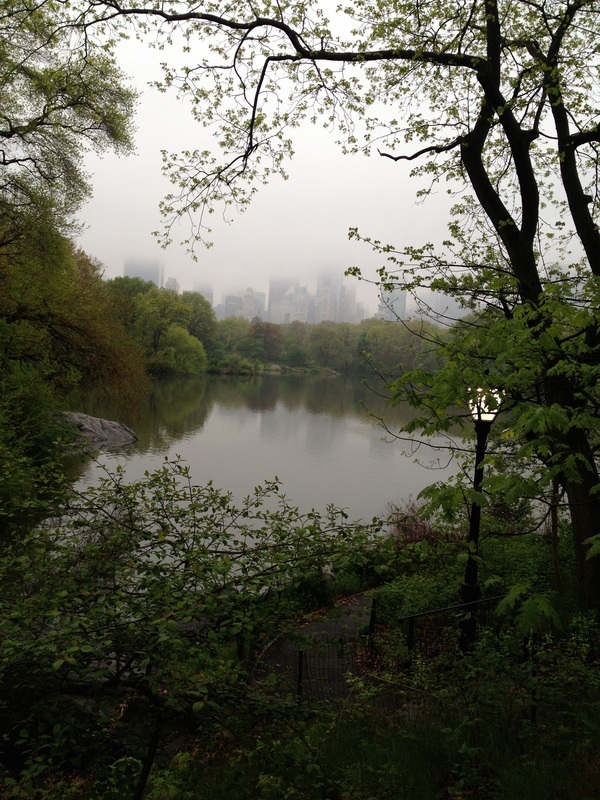 The view from Belvedere Castle. Kingfishers, Eastern Kingbirds, warblers, Orioles, herons, swifts and swallows, ducks and wrens have been spotted from this perch.